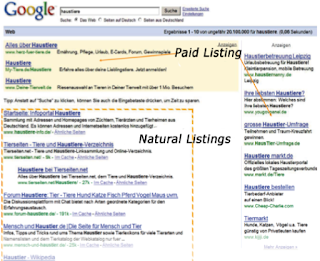 Often there is some confusion about the concept of search engine marketing. 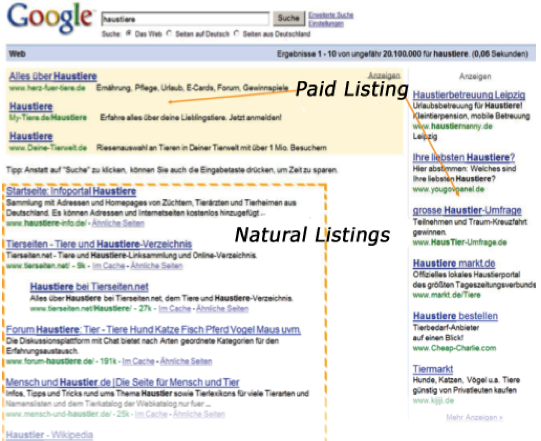 In this article we want to explain the concept of search engine marketing (Search Engine Optimization) accurate. The search engine marketing is exactly at the point that most users use it as access to the Internet: the search engines. They are the central access route to the Internet. Companies already invest two thirds of their online marketing budgets in search engine marketing. Another study shows that business-to-business market, the search engines are gaining importance. So start 95% of the decision makers in the search engines like Yahoo or Google. The second area is the search engine marketing in the narrower sense (Search Engine Marketing, SEM), which paid entries with the Promote a product, a service or for other information is available in a website. These include the 'Paid Placements' (sponsored links) and the 'Paid Inclusion'. With paid inclusion, the URL for a financial expense in the database of the search engine are included. Mostly, there is this other advantages that make an offer to the 'normal' indexing attractive.